There are just another 47 days to go for Sanfermin 2012 and quite a few people have already done their work to ensure that they have a fun party in Pamplona for the 2012 fiestas. 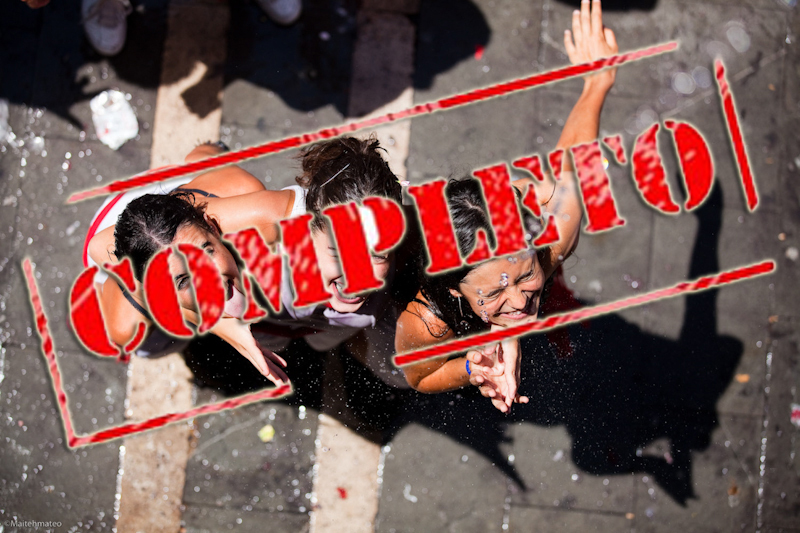 And that means that many hotels, as has been confirmed by the Sanferminbooking.com online booking agency, have already hung up the “No vacancy” sign for the first days of the eight-day fiesta. It must be borne in mind that this year the opening day 6th of July falls on a Friday and so it is easier to have just a weekend visit and manage to hit, not only the opening txupinazo scene, but also two running of the bulls and two bullfights over the same weekend. Even the balconies, which are managed by Sanferminbooking.com to see the Txupinazo and the running of the bulls on the 7th and 8th of July have already been booked up. Now the Sanfermin commercial campaign is already concentrating on the remaining days to exploit the attraction of these world-famous fiestas.